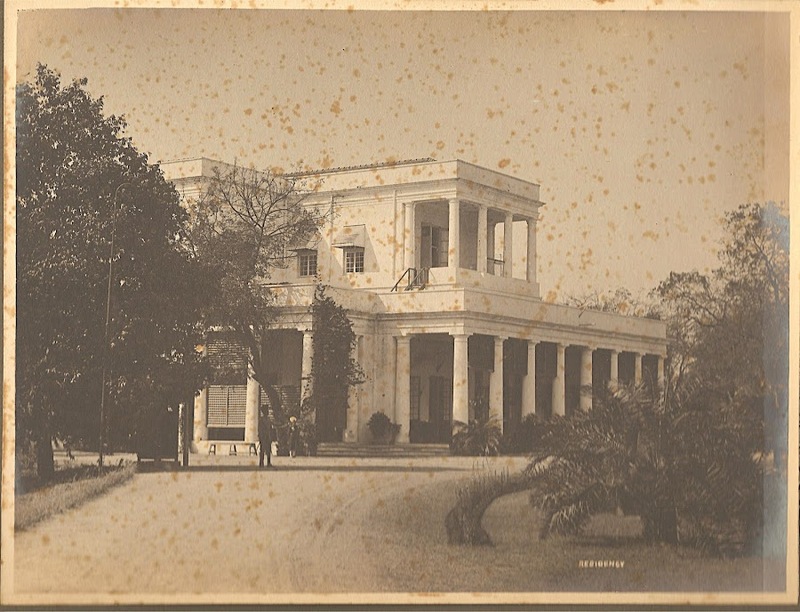 Built in 1883, this building is known by 3 names – Residency House (Bungalow), White House (Bungalow) and Sayaji Bhawan (Bhavan). 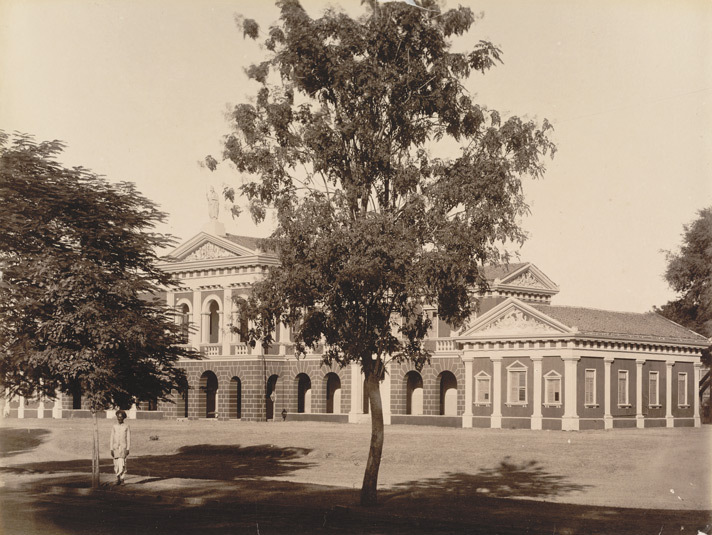 This building was known as Residency House and was erected by Maharaja Sayajirao Gaekwad II. Also building is white in color, so its also known as White House (Bungalow). 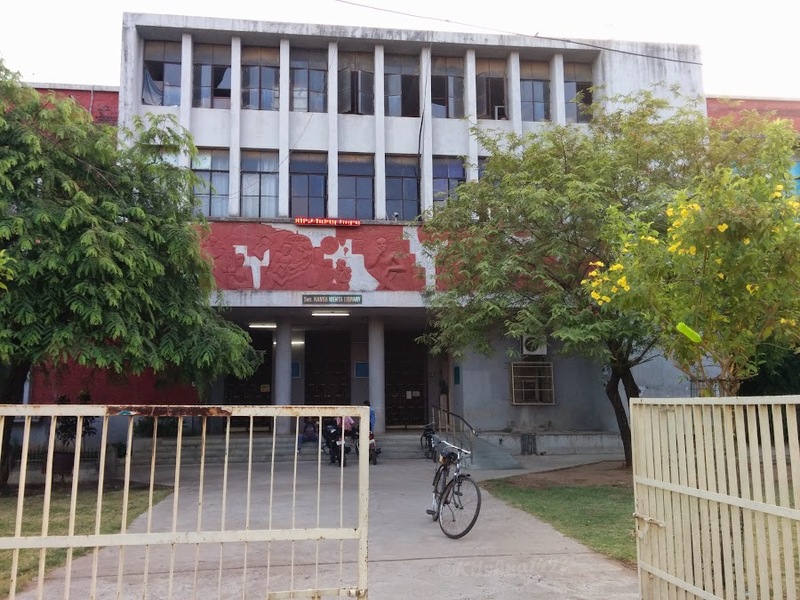 The two-storied building, is the oldest in the MSU‘s Campus, and used for housing the office and residence of the British residents who were appointed during the British Rule at the erstwhile Baroda state. It was a majestic heritage building set up as Residency House (Bungalow) from where the British once ruled the entire Western India. The Building has a Huge Hall and many small – big rooms. 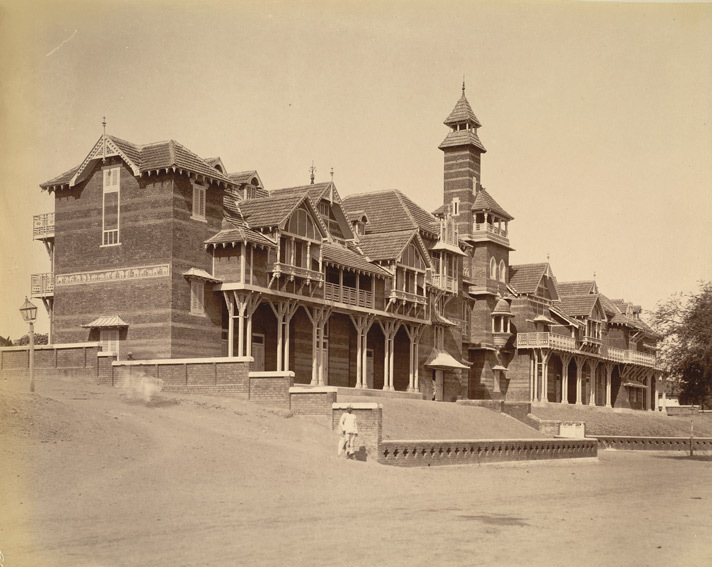 The Building was been famous for British Residential General Sir Richard John Meade and James Outram. The Building was also used for Dance Practice inside it after MSU was developed. Famous Bharat-Natyam Guru Prof. CV ChandraShekhar and Artist Gulam Mohammed Sheikh also stayed here. This Building now is well-known for history of military and arts. Also now it houses communication, carrier and counselling cell etc few more offices. Convocation Ceremony of Students from Maharaja Sayajirao University (MSU) is held here. A great thing in this building is the marking of flood which came in Year 1927. It is said that after this incident happened, Sir Sayajirao Gaekwad II told nearby constructing areas to make other buildings at somewhat more height than it was usually. * After Independence, when the building was allotted to MSU, it served as a make-shift university office. 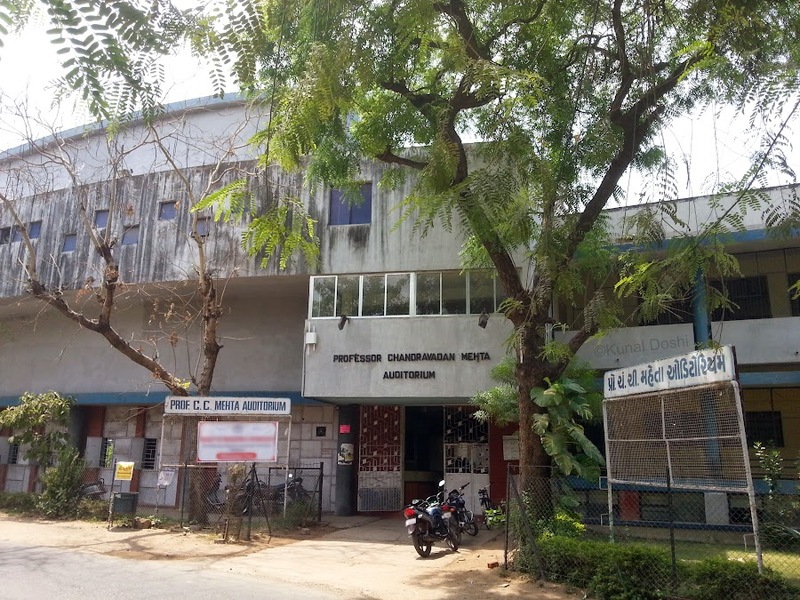 In Year 2007, the building’s name was changed to ‘Sayaji Bhawan’. The residency was most popular in 19th Century as it was modern house at that time. It also loaded with huge place and most amazing fire place was made specially. In earlier time, there may be too cold in Vadodara (Baroda) City, so British residents had to made that too. We lived here in 1964 in the far right corner lower apartment. We had 4 “rooms”… 2 bedrooms, a living room/dining area and a kitchen. My father taught as a guest in residence from the US at the University of Baroda (as it was called at the time). We adopted a local dog called Bundi and she had several puppies. We loved Baroda and our friends from the University.